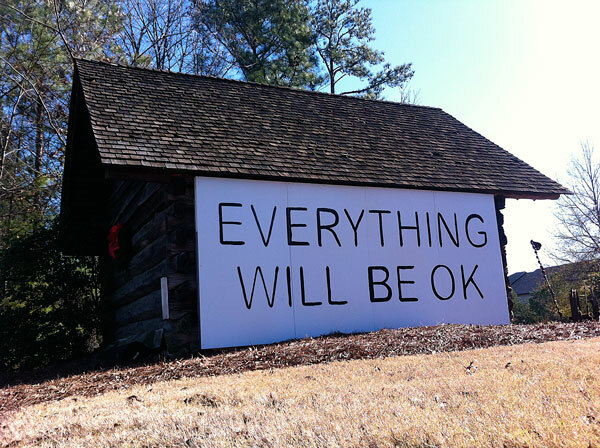 Like the artwork on the barn at the Spruill Center tells us, “Everything will be OK”. Wishing you all a happy, healthy and prosperous year in 2014! This blog often discusses the things that need fixing in our schools, and consequently we sometimes fail to mention our faith in the good people of DeKalb. There are so many wonderful, kind, smart, caring people in this county and in our school buildings. Together they quietly form a network of support and daily hope for the children of DeKalb. Blessings to you all and keep up the good work! It is because of all of you that we can say “Everything will be OK”! This entry was posted in Good News!, Uncategorized. Bookmark the permalink. would it were so, but I don’t believe the schools and the system will get better in my lifetime.